It is becoming more commonplace for non‐profit organizations to join the growing movement to “be green.” For those who choose to adopt renewable energy projects, there are realized benefits for both the donor and the organization. Whether it is aligning a mission statement with organizational goals or investing in renewable energy projects for a new generation, non‐profits are gaining interest in preserving today and providing for the future. The State of North Carolina passed Senate Bill 3 in August 2007 and established the State’s Renewable Energy and Energy Efficiency Portfolio Standard. It mandated that 12.5% of the state’s energy needs must come from renewable resources by 2021. As a result, the state created incentives targeted to achieve the goal of 12.5% by 2021. Many for‐profit companies have been eligible for a 35% incentive taken over 5 years. Yet, the state also provided incentives for non‐profit organizations. The state created tax credits for non‐profits (G.S. 105‐129.16H) that allowed the entity the ability to pass the State Energy Tax Credit of 35% directly back to the donor. The non‐profit must keep track of these donations separately and, at the end of the year, provide each donor with a letter outlining specific information the donor will need to complete their tax return. The most important difference between the for‐profit and non‐profit energy credits is the timing of when the credit can be used. For‐profit companies take this credit, equally, over a 5‐year period; whereas a non‐profit can pass out the credits, so the donor can take the entire credit the year the project is placed into service. For a non‐profit engaging in a renewable energy project, the donors get the best of both worlds; a charitable donation (on Schedule A) on their federal return for the amount of the donation and a 35% tax credit on the state return. Because the state allows the Energy Credit on the tax return, the amount taken as a charitable donation needs to be added back into taxable NC income. As an added benefit, the State Energy Credit can be taken in the year the project is placed into service. This Energy Credit can be used to offset up to 50% of state tax liability. Any credits not used in the year the project is placed into service are carried forward 5 years. Renewable energy projects can present a tremendous opportunity for non‐profits, especially when compared to direct monetary donations. Instead of a $422 benefit, a donor can receive a $622 benefit from the same amount of money donated. In addition, the non‐profit will receive a lifetime revenue stream because of the renewable energy project. For non‐profits considering embarking on a renewable or sustainable energy project, it is important to speak with a tax professional that is able to communicate the available opportunities. For non‐profits who wish (or plan to) invest in a green initiative, benefits do exist to donors, the organization, and future generations. 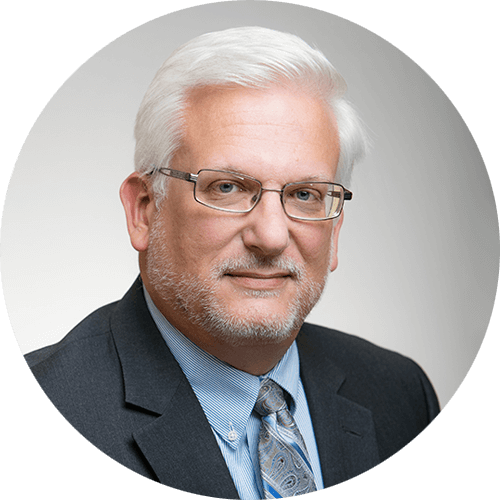 With over twenty years combined experience in both industry and in public accounting, DMJ Tax Manager Keith Jarmusch, CPA has the unique knowledge of how day-to-day issues affect clients and the daily challenges they may face. Keith works with clients in a variety of industries including trucking and transportation, hospitality, medical, and manufacturing.